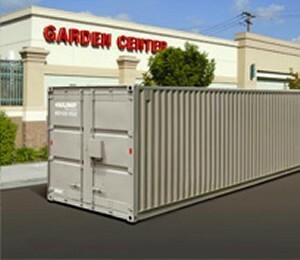 Have you considered shipping container rental in Sacramento CA? Whether you’re a residential or business customer, Haulaway’s portable storage might just be the solution you’re looking for if you need extra space. Give us a call today and get your free quote: 1-800-262-9040. Or log onto our website and fill out the form to get your quote—either way, we’ll get back to you fast. We take customer service seriously, from your first contact with us to the last. So what’s Haulaway’s story? We’ve been in the business since 1968, and we’ve been the Western United States’ first choice for reliable, quality temporary construction shipping storage ever since. We rent steel storage containers, and deliver them directly to you right when you need them. (Seriously, we have an exceptionally fast turnaround time—often we can deliver units within one business day!) Our storage containers are weather-resistant and highly secure. They come in a variety of sizes, so you’re sure to find one that fits. Cargo containers are available at 20’ or 40’ long, and roll-away containers, which are mobile, are available at 10’, 21’, and 26’ long. All storage container sizes have huge double doors for easy entry, and open to ground level, which means there’s no cumbersome lifting to get your materials into or our of our units. Because that’s what we’re all about: convenience and simplicity. We make shipping container rental around Sacramento CA, affordable and fast, so if you haven’t considered it for your business or residential space needs, call us today!